The Center for Pre-clinical Research and Investigation (CRIP) focuses on research dedicated to biomaterial, metabolic diseases, and cancerology. CRIP has facilities in order to carry out all stages of experimental procedure. 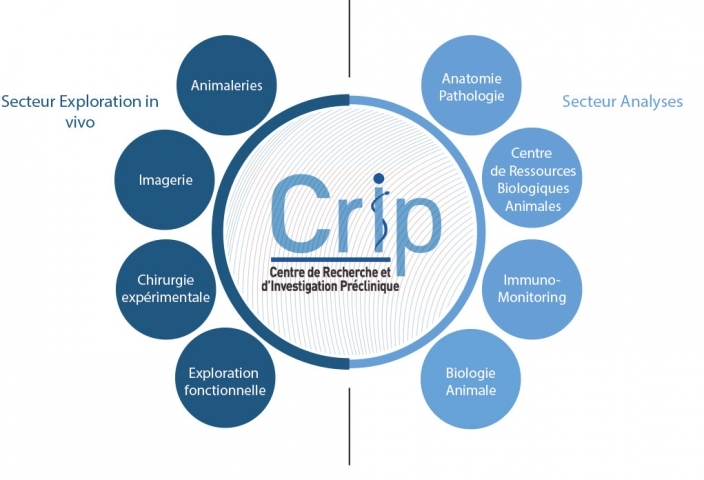 The CRIP includes experimental animal unit, experimental surgery, medical imaging, and functional exploration (Scintigraphy, MRI, Scanner, PET Scan) as well as an array of methods for biological and morphological analysis (biochemistry, veterinary pathology, immuno-monitoring).